For over 30 years, Ivory Consulting Corporation has been the leading provider of equipment lease and loan software, software customizations and consulting services for the equipment finance industry. Ivory’s flagship product, SuperTRUMP, is the proven solution for modeling and pricing complex leases and loans and is trusted by 4 of the Monitor top 5 companies. Ivory Consulting Corporation is privately held and headquartered in Walnut Creek, CA. 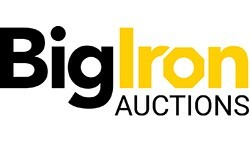 For more information, please visit us as www.ivorycc.com. Ivory is a unique organization made up of long-time, dedicated employees who have all made significant contributions to the company. We are a family, and our partners and customers are a part of that family as well. We focus on people and on treating those people right. That focus has allowed us to create the industry standard for complex lease and loan pricing and modeling software for over thirty years. We are a technology company, but we focus on people. That’s our formula for success. 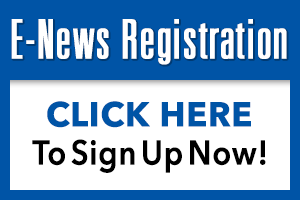 SuperTRUMP provides the ability to model and price complex leases and loans. With SuperTRUMP, sophisticated issues like pre-tax and after-tax pricing, cash flows and termination values become simple. SuperTRUMP Desktop is ideal for modeling domestic, international and cross-border transactions, concurrent full-term and early-buyout optimizations, and full portfolios. With SuperTRUMP Web, your sales team can price complex leases and loans remotely from their PC or iPad. SuperTRUMP for Salesforce provides the ability to model and price complex leases and loans while using all of the customer information and history stored in your version of Salesforce. Easily price your straightforward leases and loans from within your Salesforce. SuperTRUMP Portfolio Intelligence analyzes the profitably of your equipment finance portfolio including cash, accounting and economic yields while taking taxes into consideration. It is the ideal solution for determining the best price to buy and sell portfolios. With SuperTRUMP Enterprise Server, users across your organization can access a standard or custom SuperTRUMP quoting, accounting or reporting engine that is fully integrated into your CRM, origination, ERP and business processes. Integrate SuperTRUMP industry leading equipment finance software capabilities into your Oracle Lease & Finance Management system. Ivory can customize SuperTRUMP to fit your calculations, migrate data from Excel spreadsheets and integrate SuperTRUMP into your global systems for ease of use. 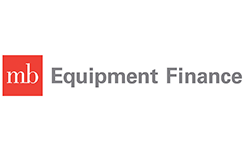 Ivory’s leading experts on equipment finance pricing and analytics solve your most pressing problems while improving your profitability and managing your exposure to risk. 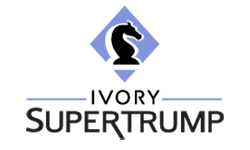 Ivory’s industry experts teach how to use SuperTRUMP including the ins and outs of pricing, calculations such as IRR, MISF, and ROE, and rarely used structuring techniques in our regularly scheduled classes. We also customize our training to focus on just what you need to know and teach in your offices at your convenience. Get a leg up on your competition by learning SuperTRUMP and new ways to achieve higher yields on your deals. Our SuperTRUMP online classroom is designed to help you use the industry standard for modeling and pricing leases and loans. Whether you are an experienced user of SuperTRUMP or new to pricing, our online classroom will teach you SuperTRUMP’s capabilities, from the complex to the handy short-cuts, using 22 case studies.